Proven and safe weight loss programs from Canada’s trusted Bariatric Center of Excellence. Our Centre is closed on Friday, April 19, 2019. SmartShape™ Weight Loss Centre has helped thousands of Canadians improve their quality of life through modern weight loss procedures and is the only clinic in Canada offering a complete range of surgical options: Gastric Sleeve | Mini Gastric Bypass | Lap-Band® | Bariatric Revision Surgery. Our multi-disciplinary team of professionals have specialized in providing Canadians with high-quality care and ongoing support for over 14 years, and have built an unsurpassed reputation for delivery of proven weight loss solutions. 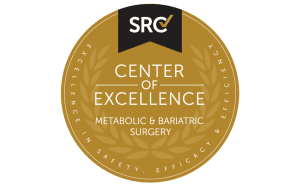 SmartShape™ is Canada’s first and only Center of Excellence in Metabolic and Bariatric Surgery –– a coveted designation awarded by the internationally recognized Surgical Review Corporation. In Canada, SmartShape™ is inspected and accredited annually by the Canadian Association of Ambulatory Surgery Facilities (CAASF), meeting or exceeding quality standards of all Provincial Colleges and Regulatory bodies. The modern 10,000 square-foot state-of-the-art medical facility is equipped with the most innovative equipment available to provide high quality patient care. It has an experienced team of healthcare professionals who are dedicated to seeing you succeed with a specialized support system to monitor and analyze individual progress to ensure patient goals are met. SmartShape™’s experienced surgeons perform more weight loss procedures than any other clinic in Canada. SmartShape™ Weight Loss Centre’s facility in Mississauga is entirely focused on weight loss procedures. SmartShape provides an enhanced weight loss program to better serve patients across Canada. SmartShape™ Weight Loss Centre has created a specialized support system to monitor and analyze individual progress to help ensure patients meet their goals. We invite you to contact us to learn more about the modern weight loss procedures we offer. Together we can help you achieve your weight loss goals. An enhanced weight loss program for patients across Canada with a specialized support system to monitor and analyze individual progress to help ensure patients meet their goals. Everyone was very friendly, professional, and helpful. I was a bit nervous going into the procedure and they all made me feel more comfortable and reassured. The personal care and attention I have received from the SmartShape team has been by far the best medical experience I’ve had to date.